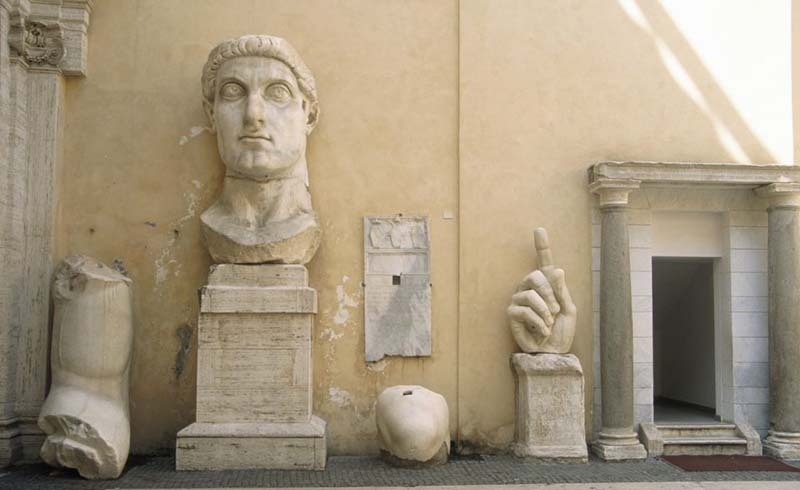 The glories of ancient Rome are easily accessible to the visitor. Some sites can be visited for free while others are part of Rome Passes and Cards. Most ancient sites are in Rome's historic center so you can visit several places in one day. Even if you don't have time to take an in-depth look, just walking by some of these places is incredible and gives you an overview of ancient Rome's history. Here are ancient Roman sites in the historic center and two to visit outside the walls. Ancient Rome's huge amphitheater, holding up to 55,000 people, was built by Emperor Vespasian in AD 80 and was the scene of many deadly gladiatorial and wild animal fights. Today you may see men dressed in gladiatorial costume as you walk between the Colosseum and the nearby Arch of Constantine, built in AD 315. On Sundays, the Via dei Fori Imperiali leading to the Colosseum is closed to traffic so it's a great place for a stroll (if you don't mind the souvenir vendors). 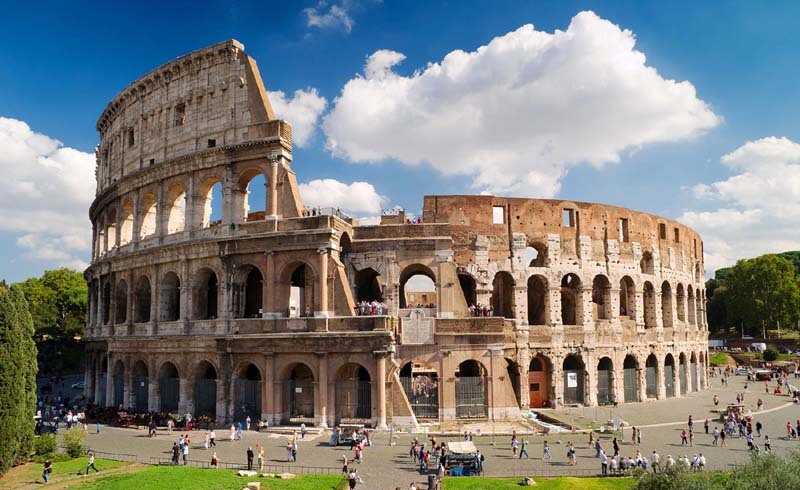 Ticket lines can be long but there are several ways to buy Colosseum tickets faster including buying a Colosseum and Roman Forum pass online from Select Italy. 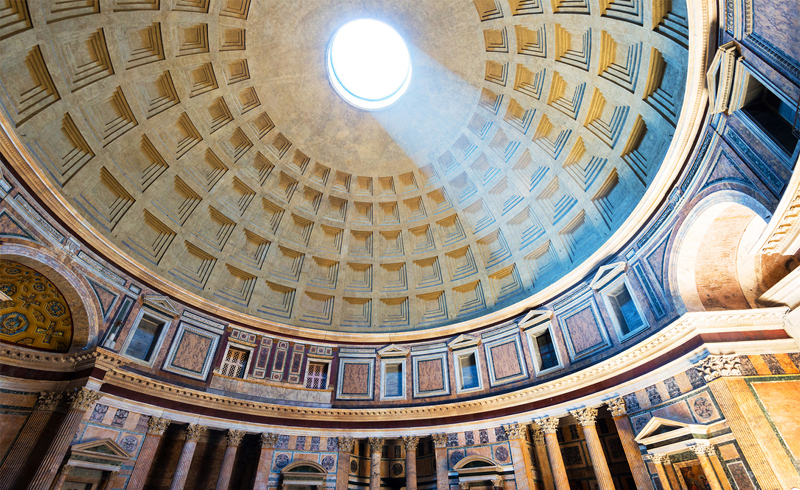 Rome's Pantheon, the temple of all the gods, was built between AD 118-125 by Emperor Hadrian. In the 7th century it was made into a church by early Christians and now is lined with tombs. Go inside to see the spectacular dome. Admission is free. The Pantheon is the best-preserved building of ancient Rome and today is surrounded by a pleasant and lively piazza, a nice place to sit in the evening and enjoy a drink. A good nearby restaurant is Armando's, on a street coming off the piazza. 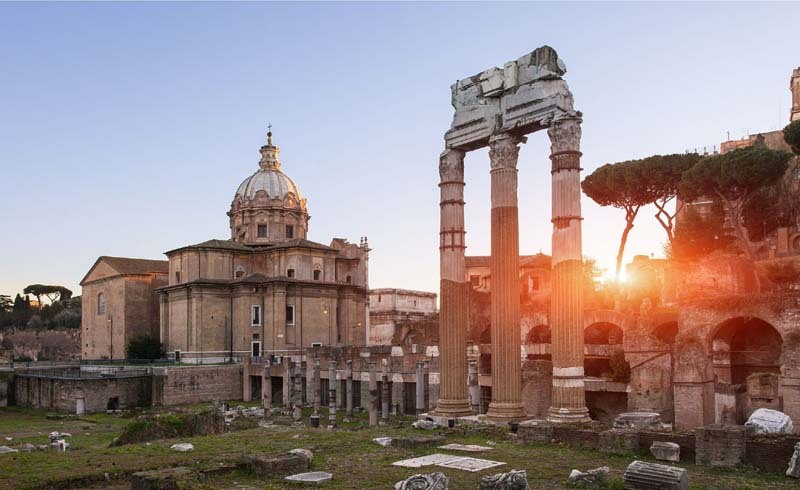 The ancient Roman Forum is a huge complex of ruined temples, basilicas, and arches. It was the ceremonial, legal, social, and business center of ancient Rome (The food stalls and brothels were removed in the second century BC). To get a good view, walk up the Capitoline Hill behind the museums. Give yourself at least 1-2 hours to wander around, then continue up to the Palatine Hill, also included in the ticket. 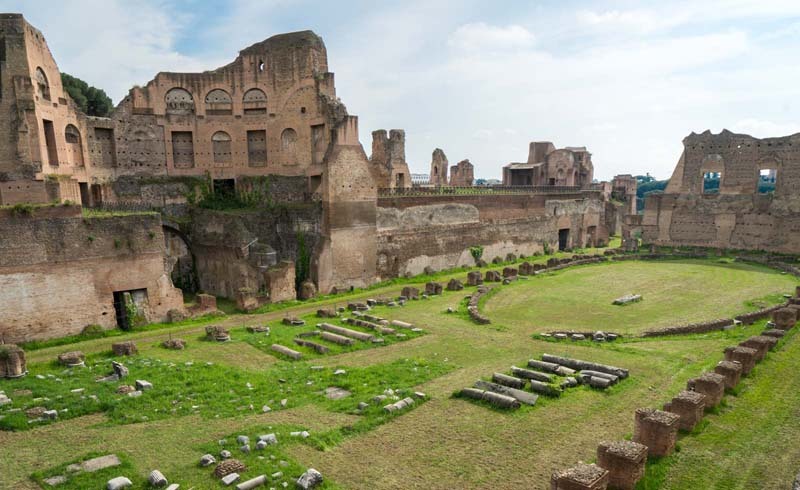 The emperors and aristocrats of ancient Rome lived on the Palatine Hill starting in the first century BC. The Domus Flavia and Domus Augustana, built in the first century AD, where the official residence of the emperors for over 300 years. Admission also includes the Palatine Museum, the Roman Forum, and Colosseum. Above the Roman Forum, the Capitoline Hill was Rome's symbolic center and held the Temple of Jupiter. Today there are two museums, the oldest public museums in the world, the Palazzo Nuovo, with Greek and Roman sculptures, and the Palazzo dei Conservatori, with art galleries, sculptures, and frescoes. One ticket gives you admission to both. Just like in ancient Rome, the hill still has the best view of Rome's center. 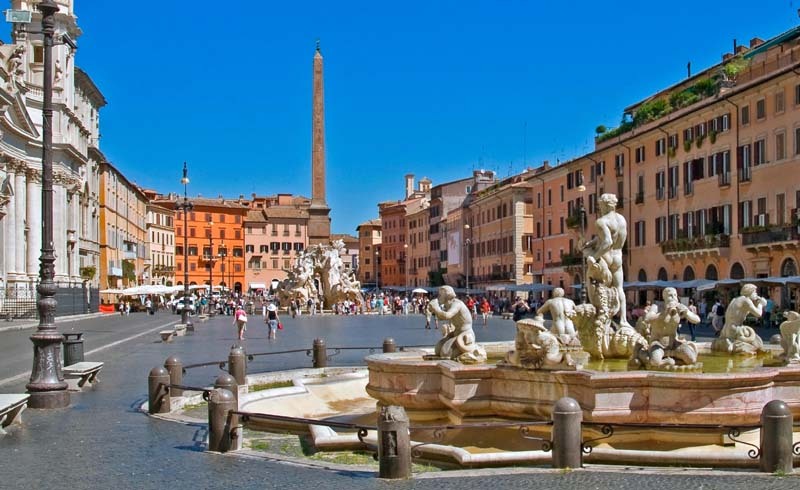 Originally built as a stadium in the first century for athletic contests and chariot races, Piazza Navona is now lined with luxurious cafes and is the home to three lavish Baroque fountains. The much-touted ice-cream dessert, tartufo, is said to have originated here and you can still try it in the cafes as a splurge. 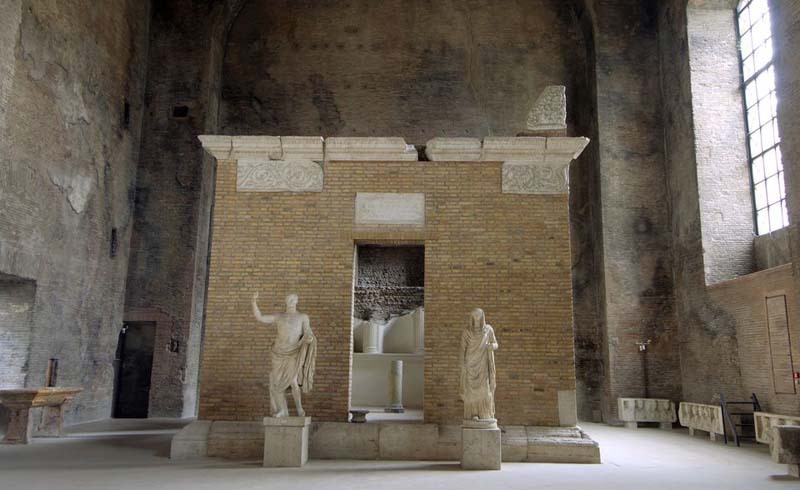 The Baths of Diocletian, once covering 32 acres, were the largest public baths or thermae in ancient Rome. Although much of the original structure has been destroyed, remains of the baths are now part of the National Roman Museum. Several painted tombs have been moved and reconstructed inside the baths. They can be seen when you visit the baths, open every day except Monday. The baths can be visited with the Four museums ticket and Rome archeology card. 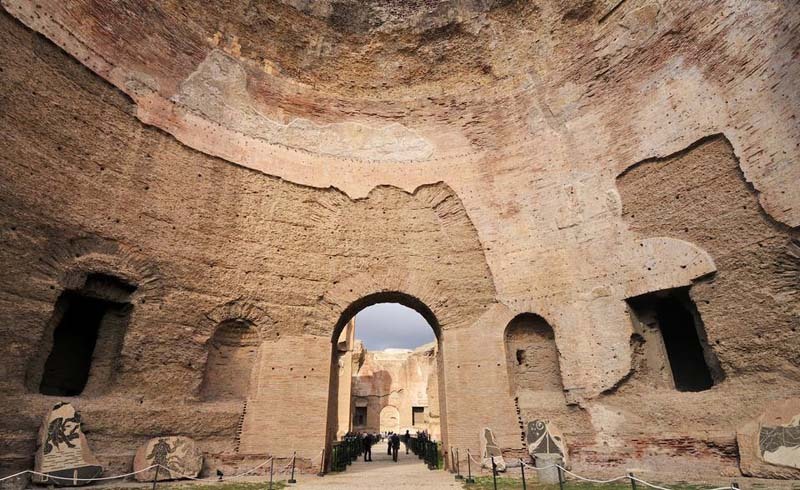 At the foot of the Aventine hill are the monumental ruins of the Baths of Caracalla, used from the Second to Sixth century AD. 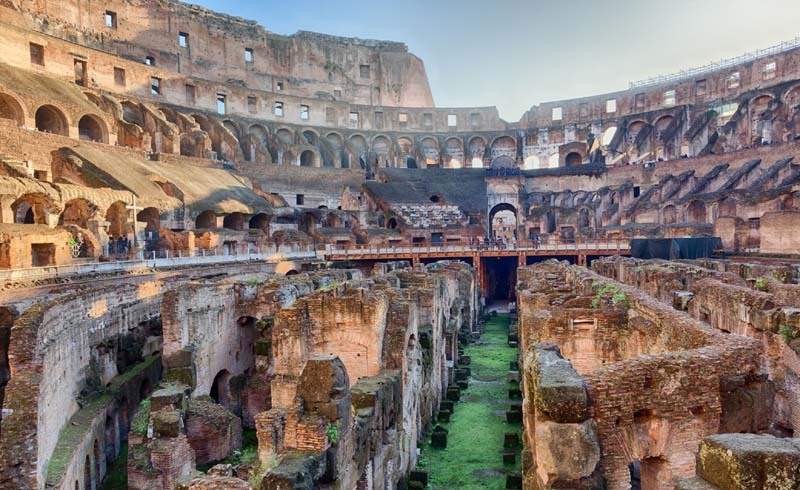 Taking a bath was a social event for the people of ancient Rome and the huge complex could hold up to 1600 bathers! Besides baths, they held an array of facilities such as a gym, art galleries, gardens, and shops selling food and drinks. 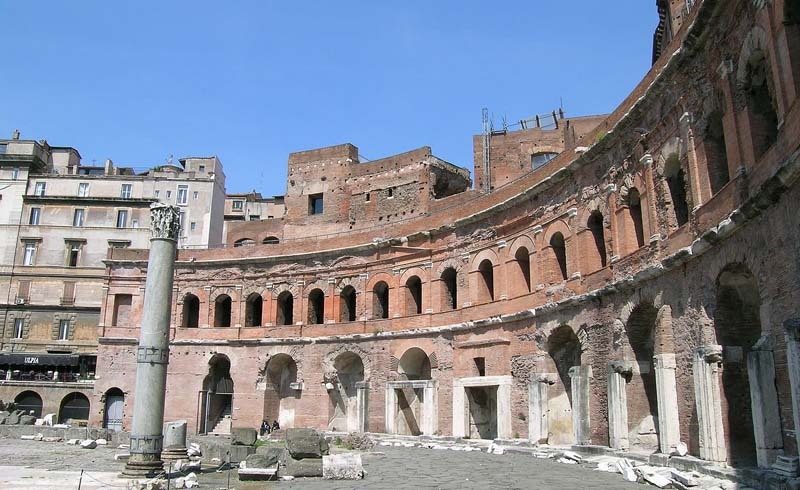 Thought to be the world's oldest shopping mall, the arcades in Trajan's Market are now believed by many to be administrative offices for Emperor Trajan. The shops and apartments were built in a multi-level structure and you can visit several of the levels. Highlights include delicate marble floors and the remains of a library. The new Museum of the Imperial Forums houses a wealth of artifacts from all of ancient Rome's forums. Trajan's Market is at Via Quattro Novembre 94, closed on Mondays. 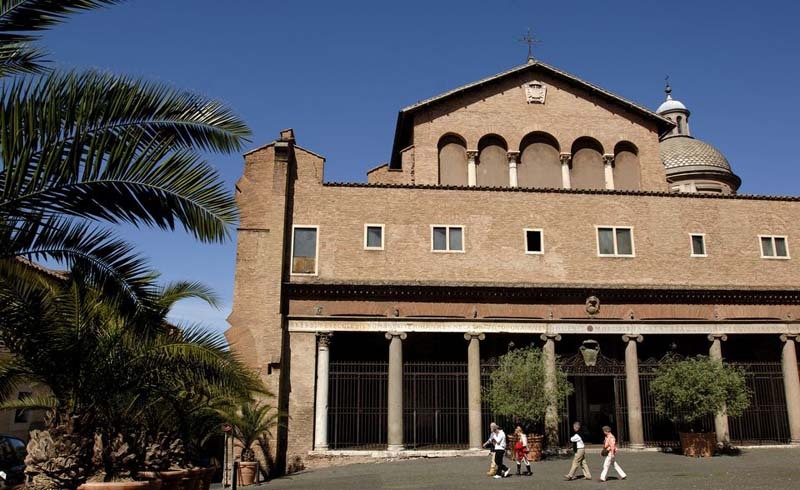 Under the Church of Saints John and Paul are excavations of Roman buildings, including what's believed to be the house of the two saints and an early Christian worship site. The Roman buildings were discovered during excavations to find the tombs of John and Paul and are now open to the public along with a small museum. The Via Appia was once the major road to ancient Rome with construction starting in 312 BC. The Appian Way is now a 10-mile long archaeological park, lined with ruins of tombs and monuments. A good way to visit is by bike, although you may also enjoy walking it. 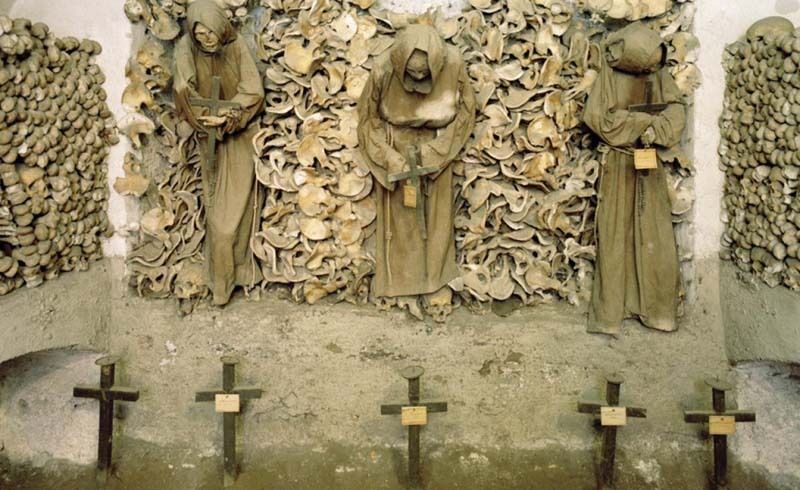 Some of the catacombs, burial places of the early Christians, are open for public tours - check for the time of the English tour when you arrive. The Roman Guy offers a good guided Appian Way Catacomb tour that includes a tour under San Clemente Church and transportation. 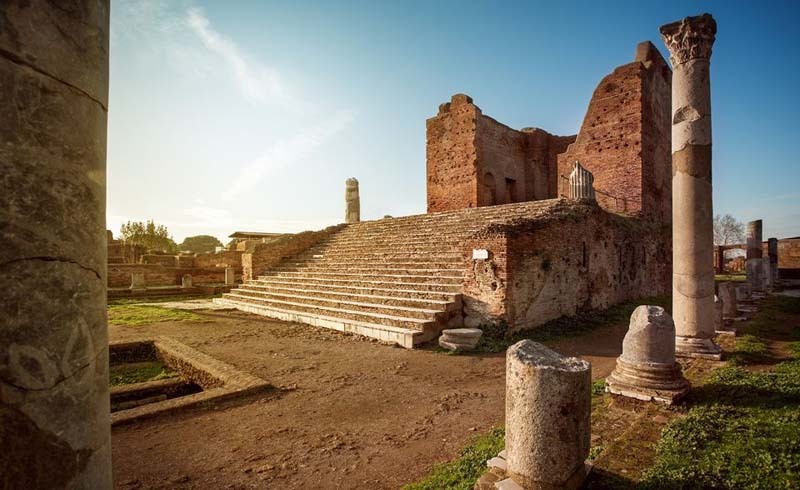 Although not actually in Rome, the ruins of the ancient Roman port of Ostia Antica, easily accessible from Rome on public transportation, are well worth a visit. It's a huge complex and you can easily spend several hours wandering around the old streets, shops, and houses. You should plan at least a half day for this trip. In addition to ancient sites, Rome has many interesting museums, beautiful squares, historic churches, and lavish fountains. 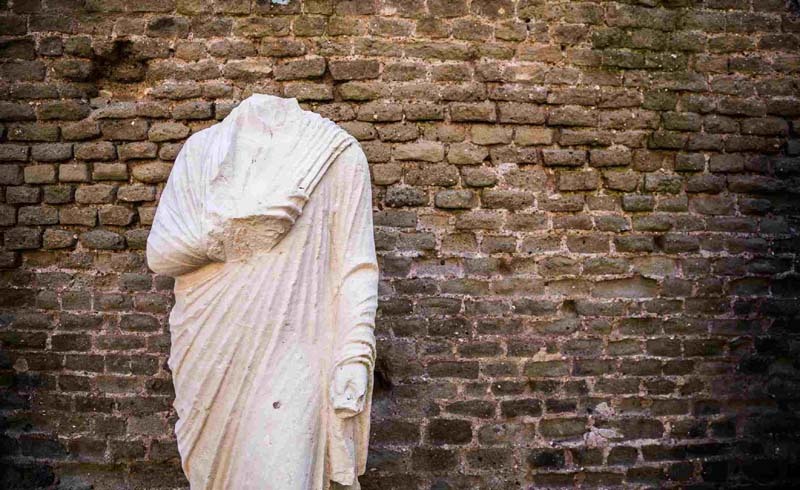 Use this guide to choose what else you want to see in Rome.